Make use of Dry Clean Express' Dry Only Service during summer time, which implies rainy times, to quickly help you out of a tight spot. If you know Pretoria and the thunder storms we get here in summer time, you will understand why this Dry Only Service of Dry Clean Express is so popular. Before you know it, a week has passed and it is weekend, and an unironed pile of laundry stares you in the face. Do not despair! 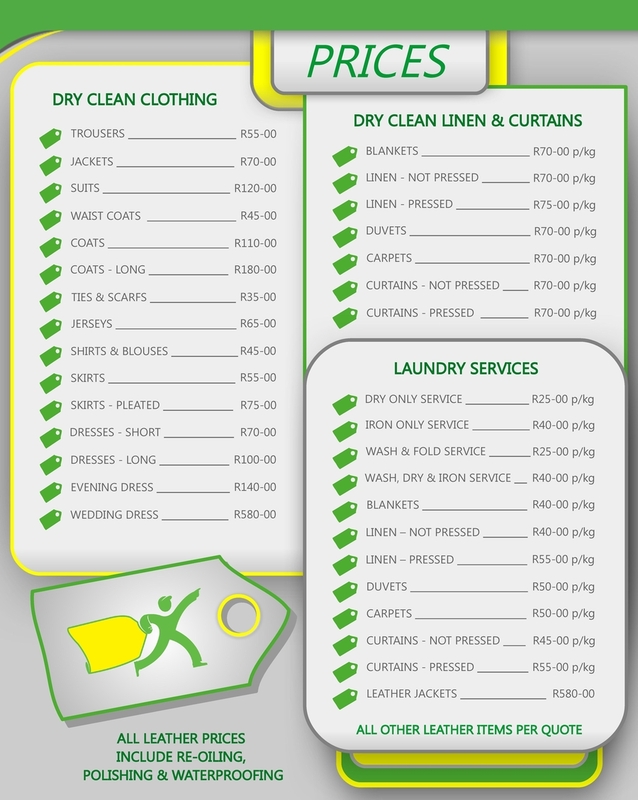 Dry Clean Express is here to make your life easier by doing your ironing on your behalf. Make sure to come and try out our Iron Only Service! Wash, Dry and Fold Service. 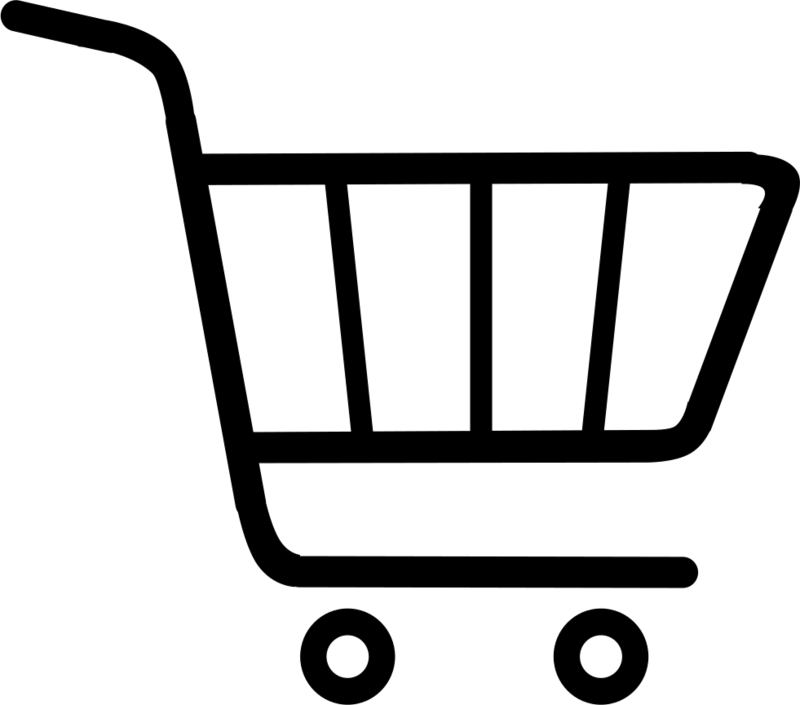 Here at Dry Clean Express we excel in Wash, Dry and Fold service, give us a try! Wash, Dry and Iron Service. At Dry Clean Express we go all the way with this all-inclusive Wash, Dry and Iron service to make your life a little bit easier. Kick back and relax; trust Dry Clean Express for all your Laundry service needs. Most of us find it difficult and tiresome to wash our blankets, especially those nice thick wool blankets that keep us so warm in winter. We are here to lighten that burden; bring those thick bulky unmanageable blankets to us at Dry Clean Express because we love washing and fluffing out all your thick bulky blankets. Bring all your loose carpets and curtains to Dry Clean Express, and return back home worry free, we love putting our fabric specialists at work, giving those carpets and curtains new life. For all your upholstery cleaning trust a trusted name, and allow Dry Clean Express to make life a little bit easier for you. Your Wedding Dress Can Be Repaired - It happens, a snag, a loose button, or worse! Your beautiful wedding dress can sustain some damage on your wedding day. Don’t worry, our expert tailors can repair your wedding dress before it is preserved. Re soling of your favorite Cat Boots, anything from gluing your soles to replacing it. Your wedding dress will be carefully inspected and an individualized treatment plan will be determined based on your wedding dress fabric, trims and style. Our wedding dress care experts will determine the best method of cleaning for your dress to protect it from damage while still getting the stains out. Your Dress Can Be Repaired - It happens, a snag, a loose button, or worse! Your beautiful wedding dress can sustain some damage on your wedding day. Don’t worry, our expert tailors can repair your wedding dress before it is preserved. We give your wedding dress TLC (tender loving care) Unlike wholesale dry cleaners and many national companies who clean wedding dresses in large quantity, each wedding dress we treat gets individual care. Most wedding dresses are hand cleaned while some are spot cleaned or dry cleaned with a special solvent. We often utilize more than one method of wedding dress cleaning (combining dry cleaning with spot cleaning). We are not satisfied until we are certain every stain that can be removed is removed. While leather should require only occasional cleaning, using the wrong products can dry out and damage the material.To keep leather in preen condition you need to treat it every three to four months with a softener or moisturizer.Clean and moisturized leather not only looks better, it lasts longer. Never use solvent-based products or household cleaning products as they will dry out the leather and result in costly repairs. Household furniture polish contains silicones, which eventually destroys the finish of the fabric. 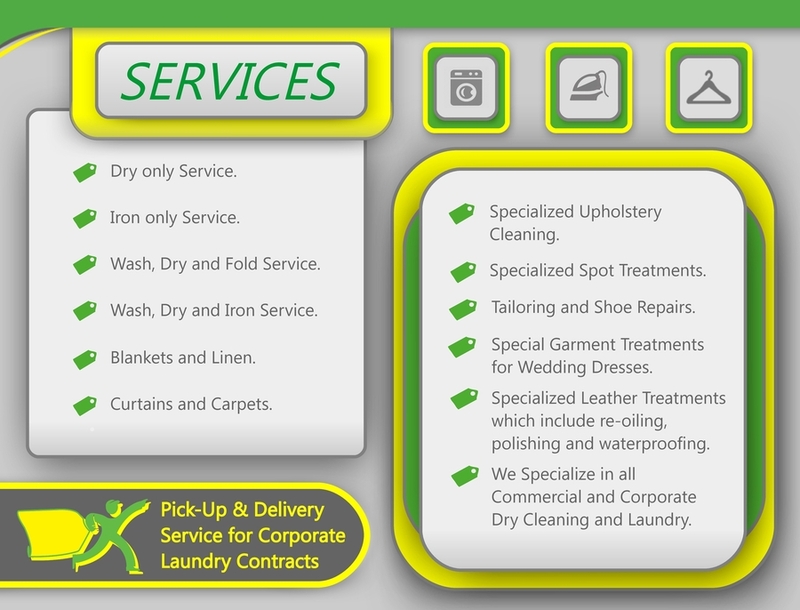 We Specialize in all Commercial and Corporate Dry Cleaning and Laundry. If you’re a Guest House, Hotel or Restaurant owner, or if you offer conferences, then we offer packages for all your service needs. These packages range from bedding to table cloths and curtains, theater linen at clinics and hospitals. We do it all; no cleaning project is too small or too big for us to take care of. Allow Dry Clean Express to make your corporate image stand out above the rest, with white material being super white, and colors which are never dull. Choose Quality, Choose Effectiveness, Choose Dry Clean Express for all your Commercial and Corporate Dry Clean and Laundry needs.